As I sit here thinking about how to finish up the year I am still trying to get my head around where the year actually went. I am sure many of you feel the same! Is it that the older we get the quicker time goes, or are we becoming so busy in our lives that we literally never get time to stop and smell the roses. What excites me is that I have found my passion in life by trying to empower as many people as I can to move and move well and with purpose. I try to do this by helping people understand their own body, how it works, how to move intelligently and see real long lasting results. I think we all deserve to be living the most healthiest, happiest life we can and movement plays an integral role in overall health. Believe me if movement is taken away from you your life would change dramatically. With this in mind, I have been reflecting on this very concept of living our healthiest and happiest life. I have asked myself whether I have been walking the walk that I talk. 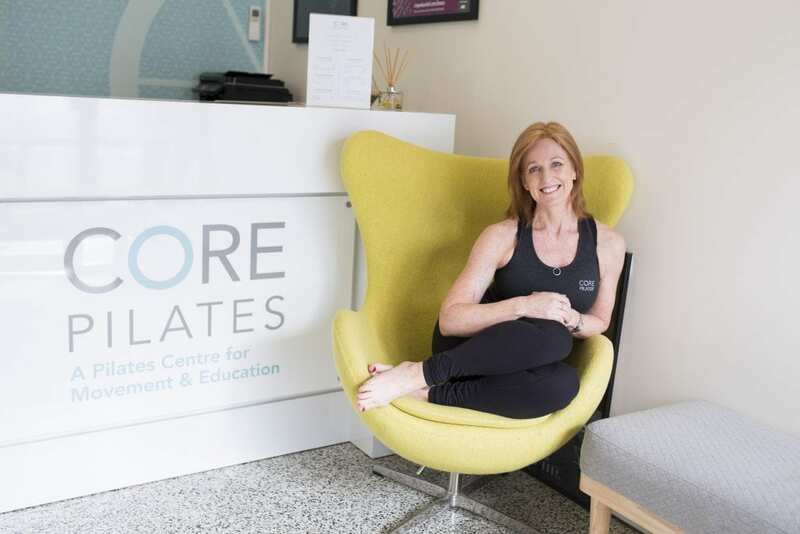 Running a business, teaching regular Pilates sessions, training Pilates students and travelling quite regularly to either teach or work on the Pilates Alliance Committee has me giving a lot of myself – and that doesn’t even include trying to be a great role model and the best mum that I can. This year I realised that perhaps I have not been nurturing my own body and health as well as I could be. Yes, I will admit it, I am tired and I am now on a mission to replenish and become the healthiest and happiest version of myself. I am sharing this with you all in hope that you may take some time to reflect and ask if you need to find some time just to nurture YOU!! I love that you come to Pilates each week, but is this all that you are doing?? One or two hours a week of “you” time is amazing, but does it balance out with the rest of your week. Are you running around, stressed out for the remaining hours of that week? Some changes that I have began making include adding strength work with my regular Pilates sessions. I think the mix of Pilates and strength for me at my age is amazing and the results feel really good. I am keeping my bones strong and healthy and the challenge of weight training has given me some real eye opening moments. I also began a more committed meditation process this year and this inspired me to introduce meditation classes to the studio. The mindfulness has definitely helped me centre and understand the need to simply pause. Pausing is a problem of mine, I admit I am an over-thinker, overachiever and perfectionist!! Not very realistic hey!! And for the mind & diet, I take regular counselling sessions with my amazing holistic counsellor, Caroline Byrd and I have also began working with our nutritional colleague, Susie Garden, to help with my diet and nutritional health. I love Caroline’s advice to me of “well what would happen if you didn’t’ try so hard to control everything!” I will let you know how that goes over the next 6 months!! I am sure that will require a lot of EFT tapping on my part! So, I think I can say I pretty much am trying to cover all bases – movement, diet and mindset!! And of course I team up with some amazing therapists for physiotherapy, musculoskeletal therapy and remedial massage. No excuses right!!! I was inspired recently after listening to a Guy Lawrence podcast interview with Dr. Ron Ehrlich. He is a holistic doctor who has written a book called “A Life Less Stressed” In this book he discusses his 5 pillars of health. Seems simple enough, so my 2019 promise is to test the theory behind each of these pillars, investigate them, work on them myself and share as much of what I learn with you all. I am searching for the best solution to live the healthiest life that doesn’t cost me hugely in time and finances. My dream is to create a wellness centre, a place where people feel nurtured, well cared for and supported and to teach people that taking charge of your own health and staying healthy is so powerful. On my journey towards my own centre I am committed in 2019 to building up our own network of trusted allied and holistic health professionals to be able to bring you as much advice, support and services as possible with people who share a common vision and believe in creating a true health community. I would love to hear from you with any thoughts on your own health, and whether we can help you in any way, or if you have any ideas to help me create an amazing space for us all. Starting February 2019 I will endeavour to report back via my blog to share my experiences and views on these 5 pillars of health!! Have an amazing Christmas and may each of you stay safe, healthy and happy!